Class of 2016 Campbellsville (Ky.) guard Quentin Goodin was one of the top performers at Michigan’s College Practice Camp on Saturday afternoon. High praise, considering the talent level that participated in Michigan’s critical evaluation camp. Goodin is a strong point guard that excels attacking the rim and getting his teammates involved. Goodin already has a lengthy list of offers. Indiana, Western Kentucky, Vanderbilt, Stanford, UAB, Tennessee, Northern Kentucky, West Virginia, Murray State and Kansas State have all extended scholarships while four other schools have been getting involved lately as well: Michigan, Ohio State, Miami and Wake Forest. Last weekend, the Kentucky native visited two of the schools that have been showing recent interest, Michigan and Ohio State. 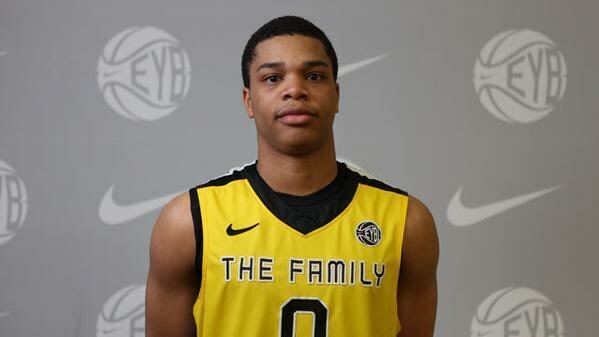 “I went to Ohio State first and then went up to Michigan, Goodin explained. “We visited Michigan Friday, stayed for about four and a half or five hours and they seemed like they really enjoyed my presence and then went to the Michigan camp that Saturday and left that night and came back home. Michigan assistant coach Jeff Meyer has been Goodin’s primary recruiter and served as his point-man during the campus visit. After the Friday evening visit, Goodin switched gears on Saturday and took to the basketball court for Michigan’s College Practice Camp. Goodin loved the camp because it gave him the opportunity to face off against some great talent. Goodin also wasn’t shy of assessing his performance. The Wolverine visit went as well as Goodin could have hoped and the Wolverines should be in contact with Goodin on June 15th. Like any good player, Goodin is more worried about improving his game than advancing his recruitment. His high school season was a success, but fell just short of the state championship. Losing just one player from last year’s roster, Goodin is confident that winning states is an achievable goal. 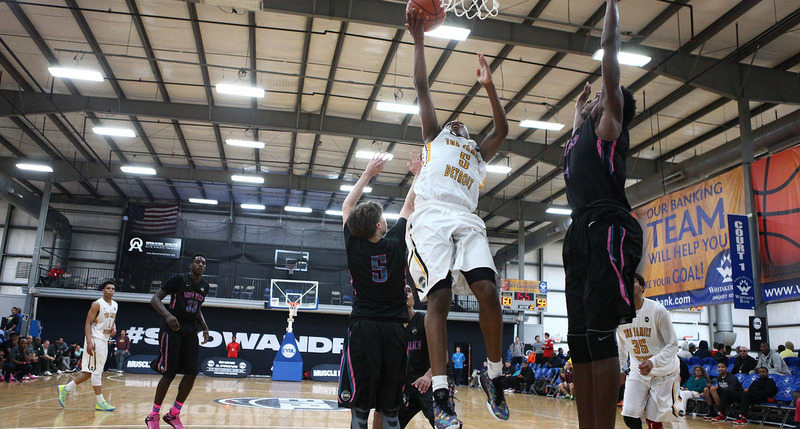 The spring has been spent on the Nike EYBL circuit with the St. Louis Eagles. Playing up a grade in the best summer league in the country, Goodin averaged 8.2 points and 2.2 assists per game. A college decision appears to be a long way off, as Goodin doesn’t plan to choose a school until next summer. “Not really,” Goodin responded when asked if any schools stand out. “I’m still soaking it all in. I’m planning on getting a list out at the end of this summer – probably like the last week of July.